Why Rocky Mountain Snow Guards? We’re serious about rooftop snow retention to protect people and property. "Rocky Mountain Snow Guards is #1! These guys are great and customer service is really solid. As a roofing contractor, snow retention is a big part of our business, but is so technical we could never learn all there is to know about it in a lifetime. Lars and the crew at RMSG help fill that gap. 5/5 stars and 2 enthusiastic thumbs up!!!!" "Your willingness to help today is greatly appreciated and extraordinary in today’s world. It’s seldom a query like mine to you leads to such a truly caring and professional response. "The installation went very smoothly and I was very impressed with the product." Thanks for all of your help. You really went above and beyond. I am very happy with the outcome." We are a full service roof snow guard manufacturer and distributor designing products that protect people and property from roof snow avalanches. We will help you every step of the way to design the most cost effective, durable, and attractive snow retention system for your roofing project. 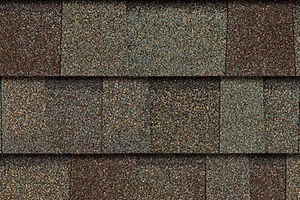 Whether it's a new roof or retro-fit to an existing roof, we have the expertise you’re project needs. Contact us with any questions and our system designers will be happy to help! Roof snow retention is our only focus. We’re one of only 4 manufacturers in the USA that manufacture and design snow retention systems for every type of roof, and the only one that focuses on snow retention exclusively. Because of this, we know more about keeping snow on your roof than any other company in the USA! With over 30 years of roofing experience we have seen it all and can guarantee you’re project will be a success for everyone involved. Located in Denver, Colorado our products and layouts are engineered and tested to withstand even the heaviest snow loads. Our products range from the extra strong Rocky Guard series to the legendary half-round ST series. 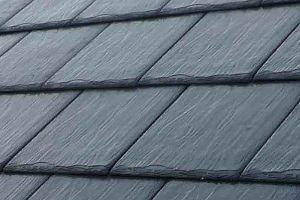 We also manufacture fence-style systems that are compatible with single ply and shingle roofs. 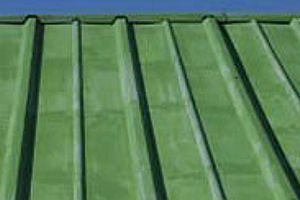 For metal roofs, we distribute and design systems including S-5!® ColorGard. Our in-house design / layout services are provided at no cost for every product to ensure optimal performance. Which Snow Guards are best for your roof? Clip Style Snow Guards are individual devices attached to the roof in a pattern designed to add friction to hold ice and snow in place. 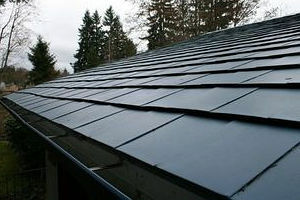 They are generally 1.5” – 3” tall, and installed in one or more horizontal rows, just above the roof’s eave. 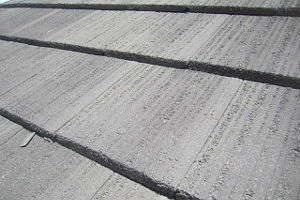 Additional rows may be necessary to stabilize the snow slab depending on the type of roof, pitch and roof snow load. This style is also commonly referred to as snow pads, snow birds, snow stops, snow brakes, snow brackets and and a handful of other names. Our products are manufactured out of copper, steel and aluminum, and mechanically fastened using screws or nails. We do not sell any plastic products. We are the sole-source for the legendary half-round ST snow guard. 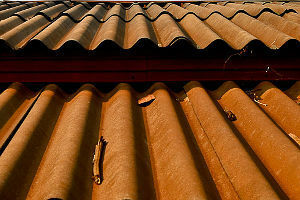 These are available in several configurations to fit metal, tile, synthetic and asphalt shingle roof systems in copper and Kynar-Coated Aluminum. Load tested to over 700 lbs, this design has been proven with over 15 years of real-world experience. Looking for more strength or a different design? Check out our RockyGuard series. 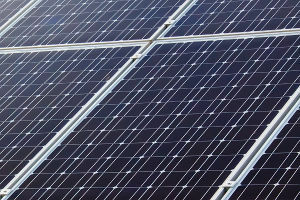 Like the ST series, these are available in configurations that work well with metal, tile, slate, asphalt shingle and synthetic roofing materials. RockyGuards are exceptionally strong and have been tested under loads to withstand 2,100 pounds. Available in powder coated galvanized steel and copper. There is no stronger metal snow guard available on the market today. 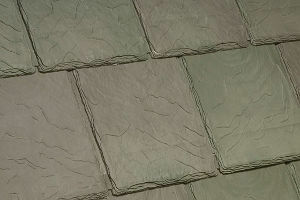 The Corgard is specifically designed for 7/8″ and ¾” corrugated metal roof panels. Corgard’s fasten through the top of the corrugation rather than on the roof deck itself to reduce water ponding and the possibility of leaks. 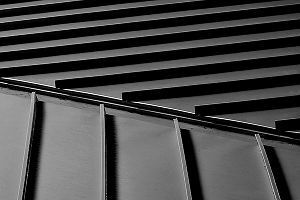 Available in raw steel to match rusty metal corrugated panels, powder coated galvanized steel and aluminum to meet all corrugated metal roof panel situations. 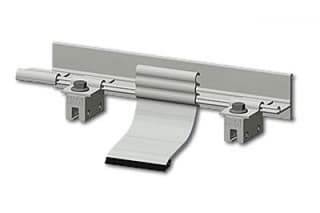 Bar Style Guards feature continuous stainless steel or aluminum bars mounted to the roof surface, parallel to the eave to keep snow from sliding off the roof. This style is attached with clamping mechanisms or brackets which are bolted into the roof deck or structure. Typically, a single bar attached 12” from the eave edge will be sufficient. With higher snow loads or steeper roofs, multiple rows will likely be necessary. We are proud to be the largest distributor of S-5!® Colorgard in Colorado. 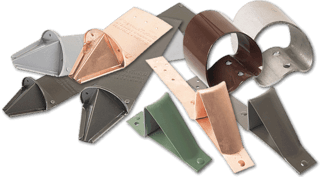 We keep a complete inventory of all S-5!® standing seam clamps, ColorGard and related products at the best prices around. Unlike other S-5® distributors, Rocky Mountain Snow Guards will do the calculations and prepare a detailed snow retention plan on your roof diagram accompanied with a complete quote. We are here to make your job easier. These assemblies consist of 2 to 4 continuous metal tubes aligned vertically (like a split-rail fence) and attached to the roof surface, parallel to the eave. Snow fence’s range from 4” to as much as 16” tall and are attached to the roof with clamping mechanisms or brackets bolted into the roof deck or roof structure. Often, a single fence style snow guard attached 12” from the eave edge will be sufficient. Multiple rows of fence style snow guards may be required for higher snow loads or steeper roofs. Our Drift Series of snow fence brackets has over 20 years of successful history. 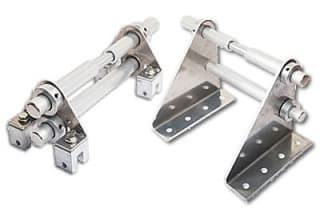 Manufactured of aluminum, these brackets are the strongest in the industry. In 2016, we introduced our Drift II Corrugated snow fence bracket for corrugated roofs. Unlike other brackets, ours attaches through the top of the corrugation rib reducing any possibility of leaks. 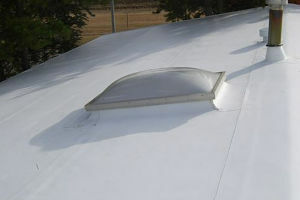 Check out our Single Ply 2 pipe system for leak proof snow retention on single ply roofs and our No-Flash series. Just like the name implies, our No-Flash series does not require any flashing around the base of the snow fence bracket. Our customer-centric approach to service means we put your needs, your budget and your goals in front of ours. Find out for yourself today what makes Rocky Mountain Snow Guards the leader in Snow Retention products and services. 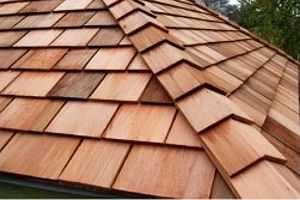 We'll help you to decide which product will best suit your unique project based on a variety of factors such as roof type, and budget. Design a system that will not only be extremely effective but will also enhance or maintain your building's aesthetic integrity. Fabricate, powder coat or just plain box up your product for fast and efficient delivery right to your doorstep, anywhere in the US or Canada!